This is more than just a management book! Written by a range ofexperienced authors who have designed and built surgeries, managedveterinary staff, bought and used the equipment, and ‘cleanedthe floors’, this Manual brings ideas and guidelines thatwill be useful in improving and running a small animal veterinarybusiness, whether established or new. Following a brief foray into the construction planning process,each area of the practice, both clinical and non-clinical, isconsidered in detail -- its design, equipment and maintenance, andthe organization and management of the clinical and support teams. The second part of the Manual deals with communication andpeople management issues, including leadership skills andself-management, together with the ethical and legal frameworkwithin which vets and vet nurses work. Thirdly, the businessaspects of veterinary practice are explored, including planning,finance, marketing, the client experience and clinicalgovernance. 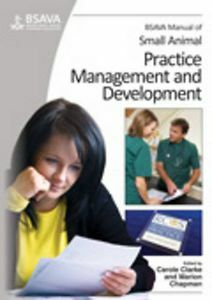 The first BSAVA Manual of Practice Improvement waspublished in 1972; this completely new Manual will inspire andsupport a new generation of veterinary surgeons in their careers insmall animal practice.